The simple answer is: Yes! Blogging is more than a nice-to-have, it’s a marketing essential. Here’s our guide on the benefits of having a company blog and the two audiences you need to engage to achieve optimal returns. To come out at the top of relevant online searches, it is essential to be publishing fresh content regularly on your website. One of the key indicators that the bots which rank competitor sites use to see which is most relevant to any given search is the level of activity; a site that has no fresh content suggests a business that is no longer trading actively. Publishing regular blogs is an easy way to overcome this problem, however it does mean that you need to keep your blogs focused on your core business activities and keywords so they bolster your SEO (search engine optimisation) to maximum effect. Product/service offering: A blog can give a more detailed idea of what you offer as a company: the headlines alone will enable visitors to get a better understanding of the topics you cover and what’s going on in your business. Reinforcing your brand: Creating blogs in a consistent voice is an effective way to strengthen your brand identity. Leading the field: You can also show that you’re ahead of the game when it comes to industry news and insights to help position you as a leader in your sector. If you get a lot of engagement with your blog, you can also become a key industry influencer. Direct engagement: Allowing – and responding to – comments and shares of your blog creates a valuable platform for direct interaction with your customers, which helps establish a two-way relationship with them. Needs commitment: a blog that was last updated six months ago is worse, in some ways, than not having one; it gives the message that your business is no longer active. 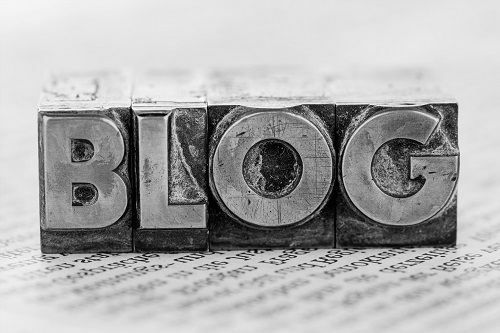 At Sharp Minds, we believe that blogs are a vital part of any marketing strategy. If you’re having trouble coming up with ideas, read our blog on finding the right content. We also offer digital marketing packages that include blogs taking the stress away from you.